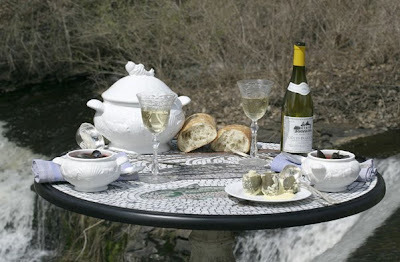 Mosaic Art and Style celebrates the integration of mosaics into the landscape of our daily lives. 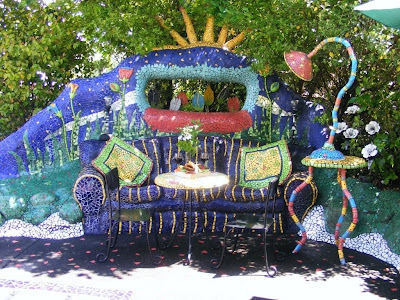 Not content to create fine art mosaics that hang on a wall in respectful silence, artists are creating architectural installations, sculpture and furniture that enliven our living environments. The ancient Greek and Romans knew 3,000 years ago that mosaics were the perfect melding of functionality, durability and beauty. Artists throughout the world are now redefining ancient traditions and transforming environments with individual fragments known as tesserae. So begins JoAnn Locktov's Mosaic Art and Style, a curated exhibit of contemporary mosaic art in book form. 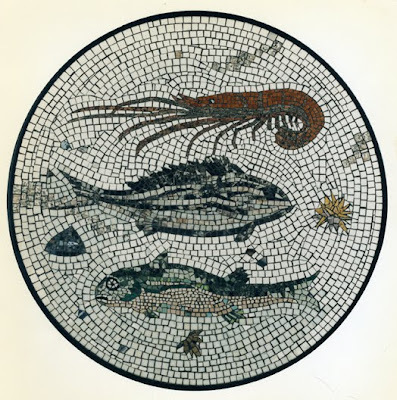 Mosaic Art and Style is a world survey of mosaic installations featuring the work of 75 artists who carry this ancient art form from back splashes to back yards, from gardens to guest rooms and from floors to furniture. The work in Locktov's book encompasses and embraces the wide range of mosaic art as it's practiced today. These works are alternately compelling and whimsical, sometimes contemplative and always dynamic. Locktov's book is split into two parts. The first half consists of in-depth profiles of the work of 17 different artists. She shows their work in page after page of beautifully shot photography with generous breaks to delve into the creative processes behind the work pictured. Cityscape, New York City marble, granite, smalti, ceramic. 34" x 22"
The second section is a gallery of both public and private spaces. In the gallery, Locktov showcases the work of 58 artists. Just as with the first section, these works are integrated into life and into real environments. Whether they're in a school, a restaurant, a hospital or a park, the work profiled in the gallery challenge and delight in equal measure. 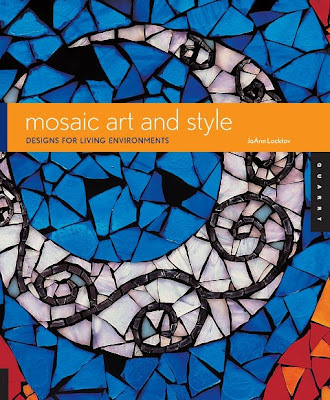 Mosaic Art and Style is filled with more than 350 photographs of some great art and it's intended to be an inspirational resource for artists, designers, homeowners and anyone who's looking for some insight into what's possible. 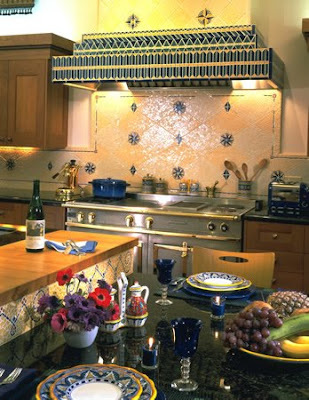 JoAnn Locktov is a public relations consultant to mosaic artists, tile companies and designers. She's also a passionate admirer and tireless enthusiast for mosaic art. Her fervor is contagious and every page of Mosaic Art and Style is imbued with it. Mosaic Art and Style is a welcome and treasured addition to my library, so much so that it's taken up residence on the end of my sofa. All the better to page through it when the mood strikes. Get a copy. Bravo, Paul. 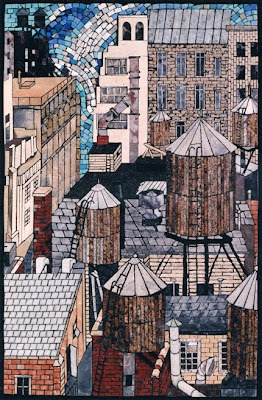 JoAnn's book is truly one of contemporary mosaic's best calling cards. 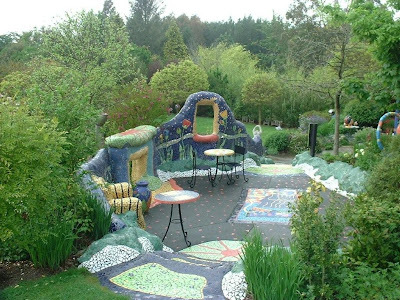 She has an almost uncanny ability to connect the dots between mosaic art and well, the rest of the world, to everyone's benefit. We're lucky to have her! I have JoAnn's book..I can't tell you how many times I refer to it. 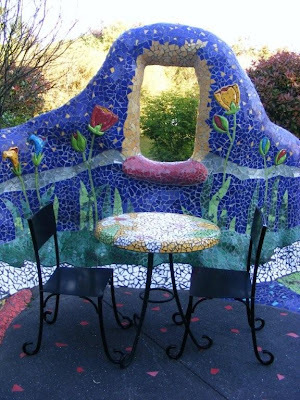 It is just wonderful and full of mosaic inspiration. I love it! 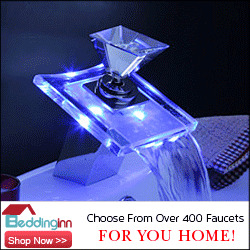 JoAnn, thanks for the links. These artists are a real treasure and they need to be supported. Nancie, ain't she a pip?! I can't put that book down, I'm not kidding. Richard Moss' Crow keeps calling to me. Laura, glad to know I'm not the only one so taken with Mosaic Art and Style. Taylor, there's an "e-mail me" tab in the right column. That's the best way to contact me.